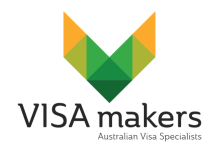 This visa allows the spouse or de facto partner of an Australian citizen, permanent resident or eligible New Zealand citizen to travel to and live in Australia. One application is made for both the temporary and permanent visa application. In most cases, applicants are not eligible for the permanent visa until two years after their application is made. 309 - Temporary visa permitting the holder to travel to, enter and remain in Australia until the permanent visa is granted. 100 - Permanent visa permitting the holder to travel to and enter Australia for a period of 5 years from the date of grant. Sponsorship by an Australian citizen, permanent resident or eligible New Zealand citizen. You must be in a mutually exclusive, genuine and continuing relationship with your spouse/de facto partner. You live with your spouse/partner or do not live apart on a permanent basis. Meeting both the health and character criteria.